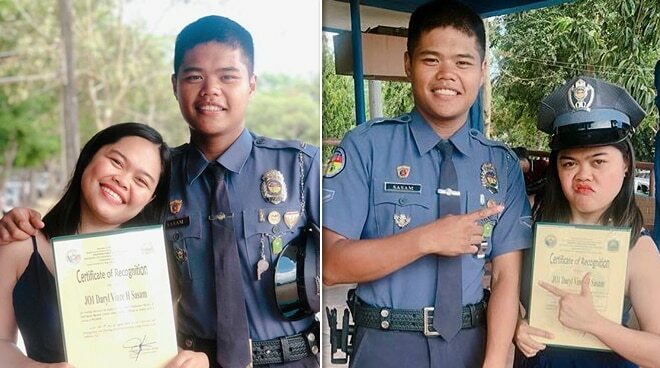 Alora Sasam is one proud sister after her brother Daryl graduated from the course Criminology with top honors. The comedienne took to Instagram to post a message for her brother. "Sir, yes proud na proud si ate mo, sir, ehem ehem, Highest in Un-armed Defense Tactics and Top 11 of the graduating class," she posted. The post has already garnered more than 14k likes as of this writing. Alora had a get-together in Tagaytay with her family after her brother's graduation. "Nakaka-miss magdasal bago kumain na kumpleto ang pamilya. Lord, we thank you," she wrote in her photo's caption.